This post discusses some of the opportunities and challenges presented by the expanding use of High Throughput DNA Sequencing (HTS) in microbiology, particularly with respect to microbial food safety in the fresh produce industry. The application of HTS (sometimes termed “next generation sequencing”) has revolutionised the way microbiology, indeed all biology, is performed. 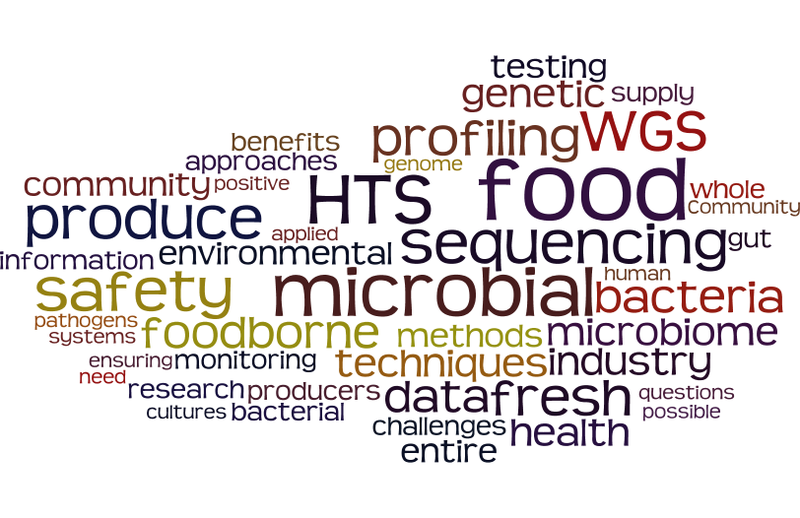 From a food safety perspective, HTS has transformed our capacity to track and characterise foodborne pathogens and their genomes (genetic makeup). Indeed we can now interrogate the composition and behaviour of entire microbial communities across the food chain. I use the term ’post-genomic era’ to describe the approaching period where genomic analysis transitions from being a specialist research method to a routine assay. Like many new technologies, the initial development and use of HTS has been confined to academia. However, with rapidly decreasing costs and increasing standardisation of methods, sequencing in clinical settings is becoming more common and we are starting to see these techniques implemented in the food industry. There are many examples highlighting the ubiquitous role that HTS has taken in food systems such as the collaboration between IBM and Mars Inc. in "Sequencing the Food Supply Chain" and the establishment of the distributed laboratory ‘GenomeTrakr’ network for whole genome sequencing (WGS) by the US Food and Drug Administration (FDA). GenomeTrakr will host WGS data in public databases for real time analyses that promise to expedite foodborne outbreak investigations [fda.gov.au]. The evolution of HTS technologies is startling. To put it into perspective, the Human Genome Project completed in 2003 at an estimated cost of between $0.5 and 1 billion and required the concerted efforts of 20 laboratories across six countries. Less than 15 years later, whole genome sequencing (WGS) has become essentially routine. Particularly in the bacterial, to where cost has dropped to the point where some researchers have started to envision the $1 bacterial genome in the future. Just as amazing is the potential capability to sequence bacteria in the field, outside of the strictly controlled lab environment. With some current generation of sequencing devices shrinking to the size of a thumbdrive. Soon, it may soon be possible for producers themselves to sequence the microbiome of their crops and upload the data to a global network. Reviewing the state of all HTS techniques is beyond the scope of this post and, at the current rate of advancements, would undoubtedly be out of date within a year. However, it is important for producers and quality managers to understand the two most common HTS techniques of immediate relevance to food safety: WGS of pure bacterial cultures and environmental community profiling (or microbiome screening). In WGS, individual bacteria isolated from products have their entire genetic code mapped and digitised. This is in contrast to traditional methods, which involve the identification of bacterial cultures based on specific traits (i.e., growth on differential media or production of a toxin). This electronic fingerprint provides not just the identity of bacteria, but also the entire genetic code. From this information, it is possible to identify the presence or absence of genes responsible for the antimicrobial resistance, persistence in the environment, and virulence. Just as importantly for quality managers and factory hygienists, the relationship of one bacteria to another bacteria isolated from other sources can be identified. The positive impacts of WGS are immense both for public health surveillance and the fresh produce industry as whole. The comparison of isolates from clinical, environmental and food sources can reveal contamination pathways and improve the surveillance of food safety systems. The fresh produce industry involves complex supply chains with a multitude of stakeholders, so the ability to share genetic information across multiple stakeholders offers great benefits. On the other hand, there are important questions to resolve regarding the use of WGS. For example, will it be permissible to use WGS data in litigation of foodborne outbreaks and what are the implications of this? What platforms will be available for sharing of sequencing information? Will sequencing and testing standards be imposed upon supply chains? Proactive engagement across research organisations, regulatory bodies, and the industry will be critical to promote the uptake and sharing of information to maximise the benefits for the industry as a whole. In addition to WGS of pure cultures, the burgeoning area of community profiling or microbiome research has exploded with advances in HTS. Community profiling involves surveys of all the microbial DNA extracted from an environmental sample. These methods are particularly powerful as they are culture-independent. In other words, microbes don’t need to be grown and isolated on petri dishes, as is done traditionally, which saves a great deal in time and labour. Community profiling characterises the composition of an entire microbial community, rather than a fingerprint of a single strain. Currently, the most commonly applied approaches use a single marker gene. This does not provide sufficient resolution to unambiguously detect pathogens, however it may provide complementary methods by detection of groups of indicator organisms. The less commonly applied technique of shotgun metagenomics may however improve the resolution to identification of specific virulence marker genes. Community profiling is becoming incredibly routine and have widespread applications in human health and environmental monitoring. 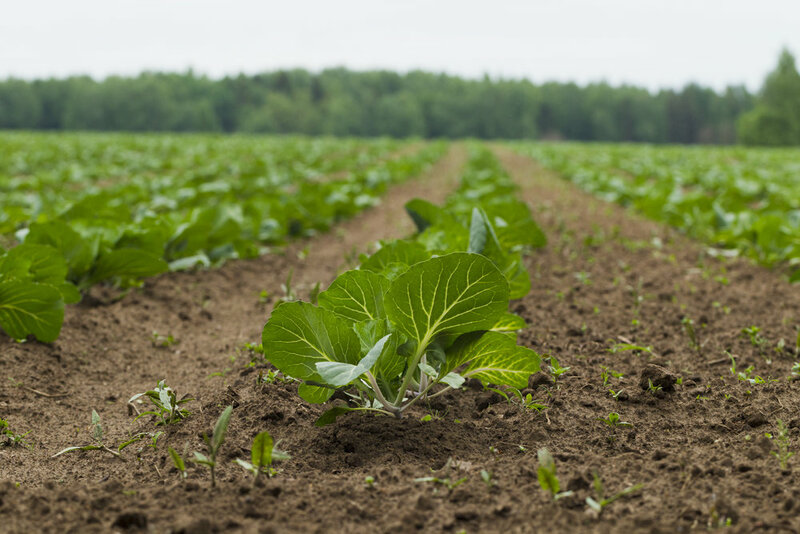 For fresh produce growers, community profiling offers particular benefits in the monitoring and profiling of soil microbiomes, which may present approaches to improve crop yield and quality. The new HTS techniques are extremely powerful in comparison to traditional culture-dependent methods. So, what challenges arise from a food safety assessment perspective? Problems with these techniques are predominantly interpretative, due to the fact these techniques are non-targeted with a high degree of sensitivity. How will we define a potential foodborne microbial contaminant in the future? A bacteria, virus or fungi defined by our previous culture-based approaches and a history of foodborne illness, or those that carry identifiable genetic markers associated with virulence? Whilst these aren’t particularly new questions for food microbiologists and regulators, such questions will come to the fore as the diversity of microbial ecosystems are systemically explored. To avoid such issues, we will need stricter definitions and consensus on whether genetic data is evidence of a microbial hazard or not, and clearer guidelines on how to handle such results. This will assist producers to assess possible foodborne pathogenic contaminants and increase preparedness to employ microbial community profiling in environmental monitoring systems. One of the unexpected challenges from the explosion in microbiome research is the emergence of foodborne pathogens, not previously identified, that contribute to gut health. The human gut is recognised increasingly as a nexus for diverse chronic diseases ranging from mental health conditions to allergies. The food we eat and the bacteria that we introduce to this system are increasingly seen as indicators for human health. Whilst the positive effects of fresh produce on the gut microbiome are well established, further evidence of the impact of differing groups of fresh produce will undoubtedly be described in the future. In turn, segments of the indigenous microbiome previously thought to be benign in fruits and vegetables may turn out to be associated with positive or negative gut health. With the glut of data being generated from HTS technologies, curation of data and contextualisation of results must be prioritised. The democratisation of sequencing brings benefits and challenges. Just as the world of journalism has had to undergo radical changes with the advent of the internet, we will need to adjust to changes in the world of microbial testing. The harmonisation of baseline practices for applications will help to ensure that producers, buyers and consumers have confidence in the approaches taken to monitor foods. The development of well thought out risk communication strategies will also be essential to manage the increased quantity of microbial data shared across a broad range of stakeholders. Despite the revolution in the way microbiologists are testing food, some things won’t change. A well-designed, proactive food safety management system and culture must remain the core focus for ensuring the safety of our fresh produce, rather than microbial end-point testing. Microbial testing should predominately be applied as a means for process monitoring and verification ensuring efficacy of sanitation. Further to this, communication and collaboration across the entire supply chain remains key in ensuring the maintenance of the safety of fresh produce and retaining consumer confidence.